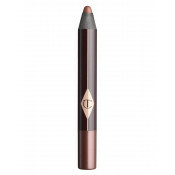 Darlings, a blunt pencil leaves a lacklustre line! My Pencil Sharpener is the perfect duo sharpener to keep your pencils nice and sharp. In the signature rose gold & night crimson colors, this duo pencil sharpener not only works to keep your pencils at their sharpest, but looks effortlessly stylish in your makeup bag. • For the best results, always keep your pencils sharp! • The duo pencil sharpener was designed to work with the Colour Chameleon, Rock ‘n’ Kohl, The Classic & Lip Cheat lip liner. 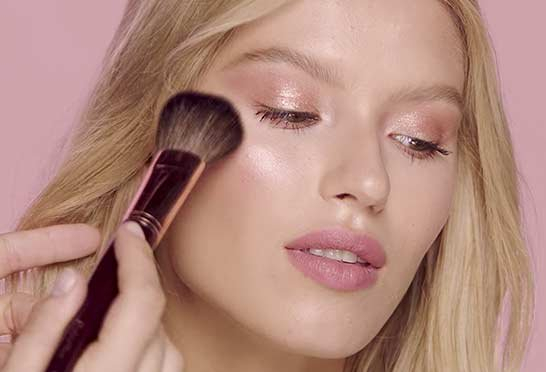 • Stylish colors that look great in your makeup bag! • Ideal for keeping all your eyeliners & eyeshadow pencils sharpened. 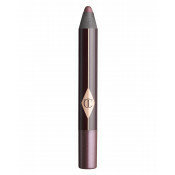 Charlotte Tilbury Pencil Sharpener - Double Cube is rated 4.8 out of 5 by 128. Rated 5 out of 5 by Sylvia from PENCIL SHARPENER I am a novice when it comes to using your wonderful products and did not know of the pencil sharpener when purchasing my first eyeliner. I tried different methods of sharpening my pencil, inevitably losing some of the liner along the way. I recommend you promote the pencil sharpener before checkout for people such as myself. Rated 5 out of 5 by SarahRose from Absolutely excellent This is an absolutely excellent sharpener. All of my previous sharpeners have been hard to clean, they take off most of the product while sharpening, and ruin the tip of the pencil. This sharpener works beautifully, not only with Charlotte's products but other brands as well. It is more than worth the (in my opinion not that expensive) price. You won't regret this purchase! Rated 5 out of 5 by Noemi from PENCIL SHARPENER As a pro artist I have to sharpen pencils a lot. This product is brilliant, never breaks the pencil and gives it a very sharp edge which is perfect for precision. Highly recommended! Rated 5 out of 5 by Pat from PENCIL SHARPENER Good sharpener with 2 sizes. Pleased to have this in the range as my existing sharpeners didn't function well. Good price too. Love that it catches the debris as it sharpens. Easy to empty. Good design. Rated 5 out of 5 by Nicoleta from not just a pencil sharpener Its not just a pencil sharpener , it is the best pencil sharpener i ever had , with my favorite color and it looks so elegant. Great quality, i like a lot the fact that its covered and all residues from your pencil stays in. 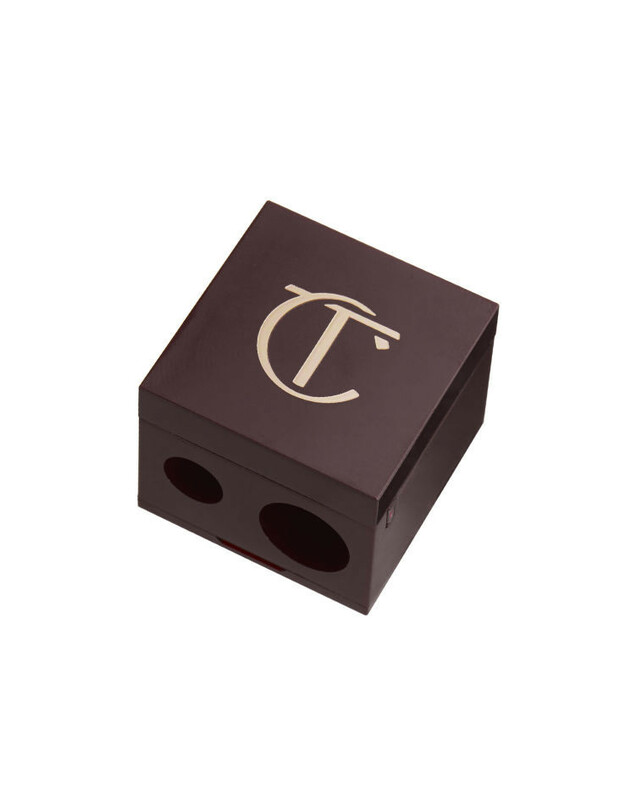 Very cute i see it more like a little cute chocolate cube with golden Charlotte Tilbury initials. very , very happy. 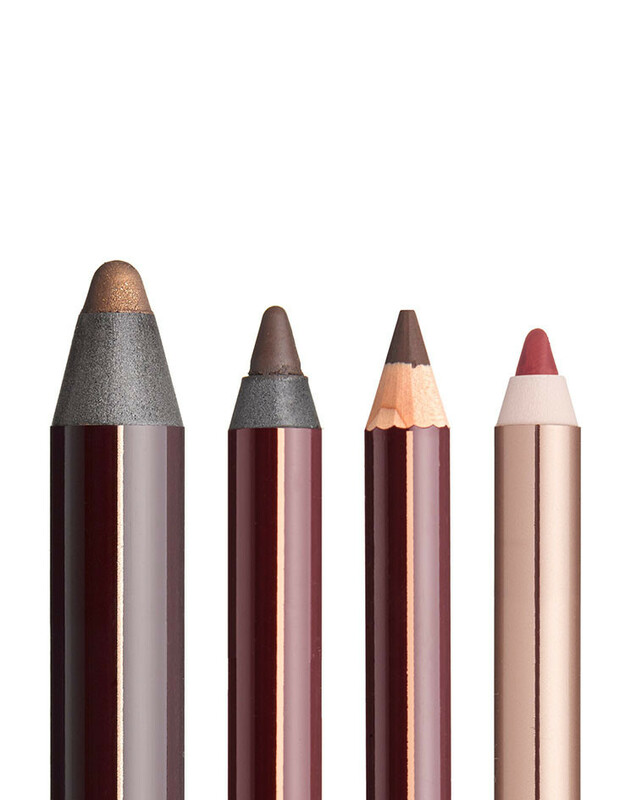 Rated 5 out of 5 by Nadia from PENCIL SHARPENER Beautiful, Value for money product that works perfectly on all of my lip liners, as well as other branded. Also, works amazingly at sharpening the colour chameleon eye sticks. Very happy with product. Would recommend. Very sleek style. Rated 5 out of 5 by angela from PENCIL SHARPENER Was a bit reluctant on this purchase as I have so many pencil sharpners but the others were just chewing up the pencils (khol and eye colour pencils and lip pencils) but this is great; a few turns and ready to be used.